On our way to check out the Summer Exhibition at the Royal Academy of Arts last night, Mum and I took an important detour to sample the goods at a French Institute – Laduree. The Laduree website is one of the prettiest websites I have seen…there’s magical princess harp sounds and stars and moving things…so much fun. 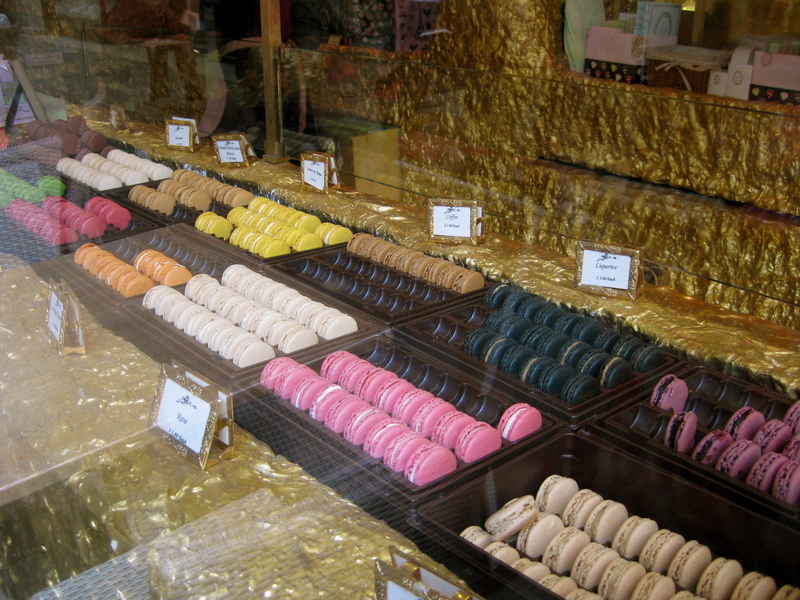 The shop in Piccadilly Circus is decked out like a giant Ferrero Rocher wrapper….a rough, golden interior to set off the delicate, colourful macarons on display. We tried four flavours last night; coconut, pistachio, lemon- thyme and salted caramel. I think the stand out was the lemon-thyme because it had a lovely lightness of flavour and texture, but I found the hint of thyme unsettling. It made me think of spaghetti. The packaging of these macarons is something to behold. 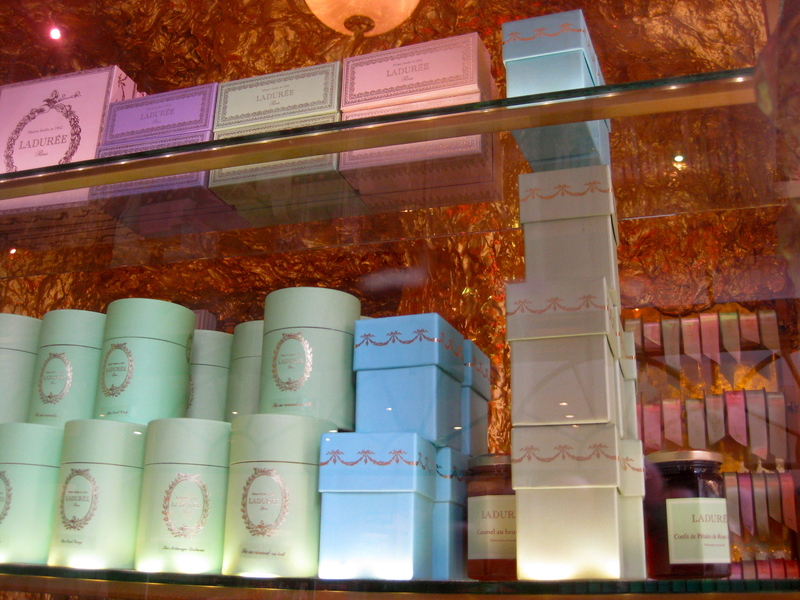 These adorable little boxes that look they house a Faberge egg are so indulgent and perfect for a special gift. Worth a peek if you’re visiting London.